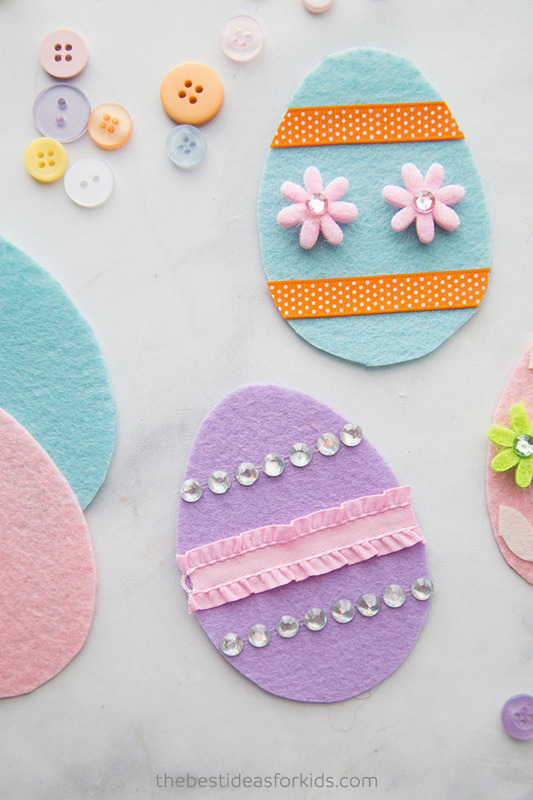 Decorate your own felt Easter eggs for an easy Easter activity for kids. The best part about this activity is you can set out all of the materials and let kids create on their own with little assistance. 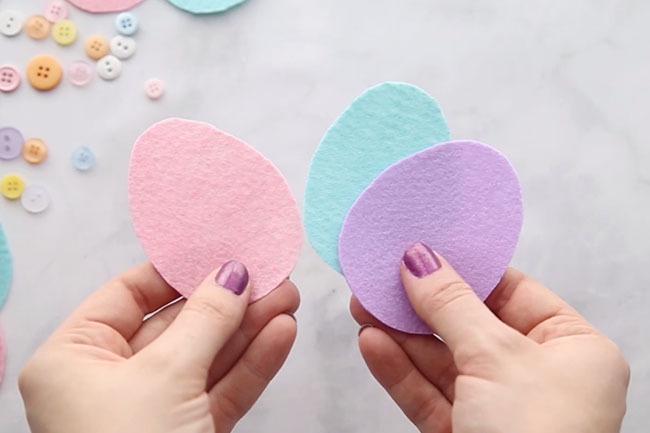 Glue some ribbon to the back and you can hang these felt Easter eggs on an Easter tree. 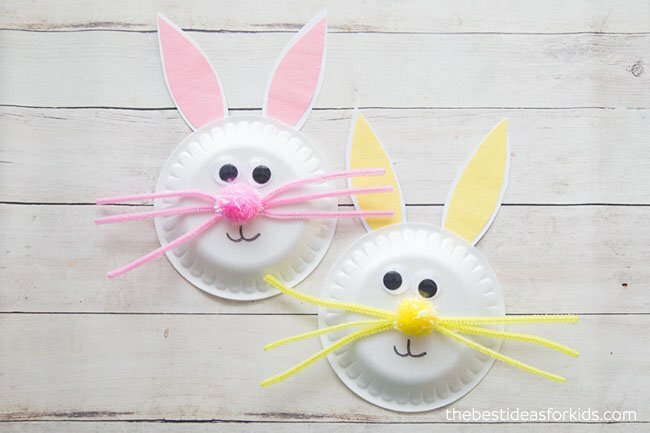 You can also give them out as gifts at Easter or use them to decorate your placemat settings. 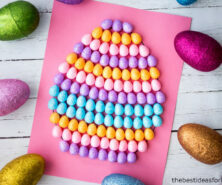 Don’t forget to grab the free printable Easter egg template at the bottom of this post too. 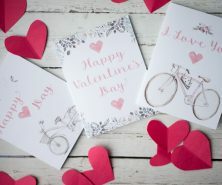 We love easy crafts and this one is no exception. 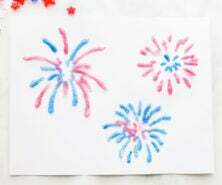 The best part is that kids can create their own unique designs. Set up an “invitation to create” station by putting out all of the materials you need and then let the kids get to work! They will love choosing from a selection of supplies. 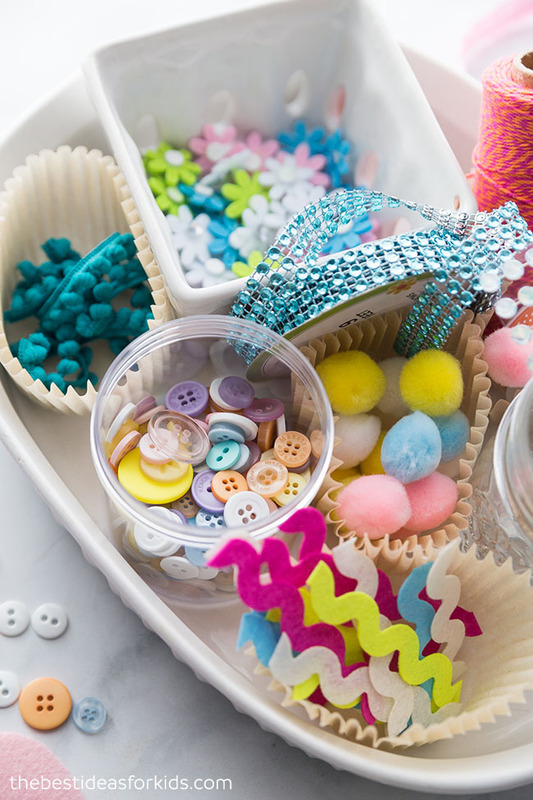 Buttons, pom poms and rhinestones are some of our favorite supplies! 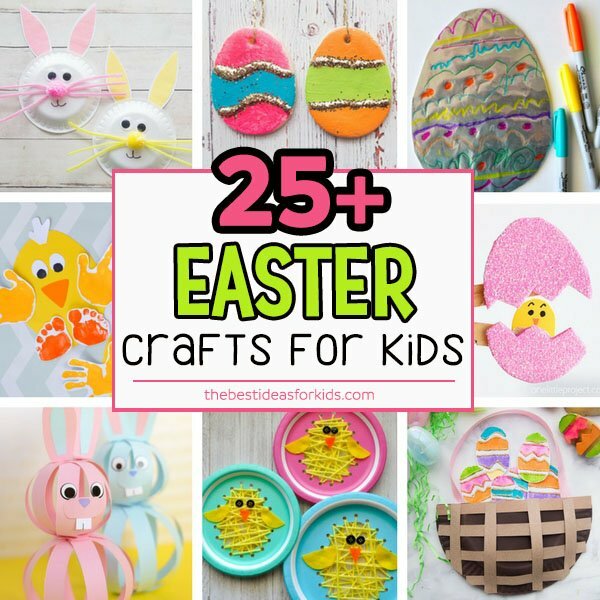 Set out a bunch of supplies for kids and let them decide what they want to place on their Easter eggs. You don’t need to include all of these and you can get creative with what supplies you put out to use. – There are many other options you can use. If you can glue it, put it in the pile for decorating options! 1. 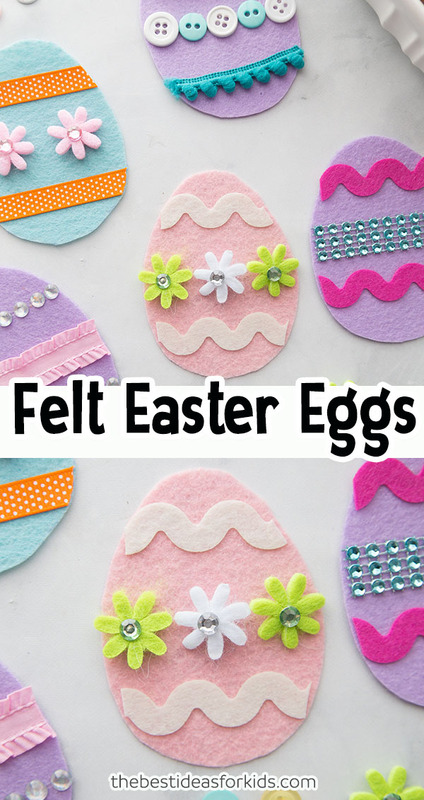 Cut out your Easter eggs from felt. 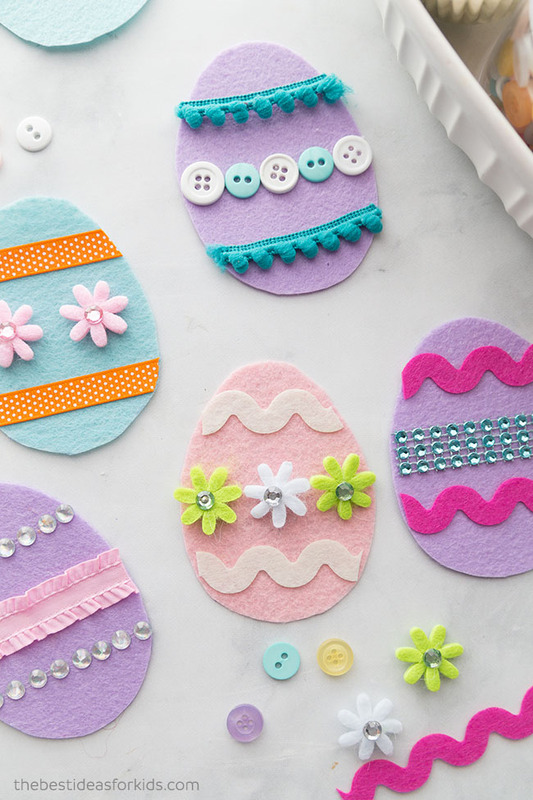 You may be able to find some felt Easter eggs at your local craft store or dollar store during Easter time. You can also make your own. We recommend stiff felt since it will hold up better and can be picked up easily. 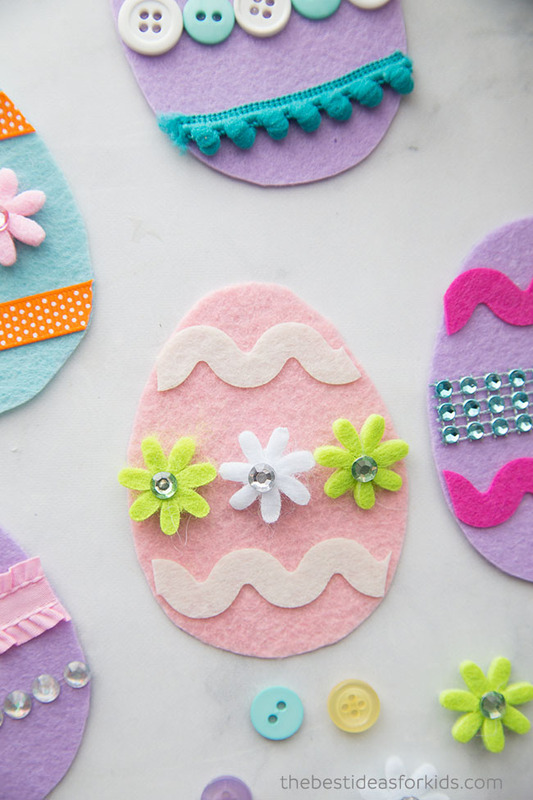 Trace around the Easter egg template on your felt. You can get the template by subscribing to our newsletter on the form with the preview of the template. 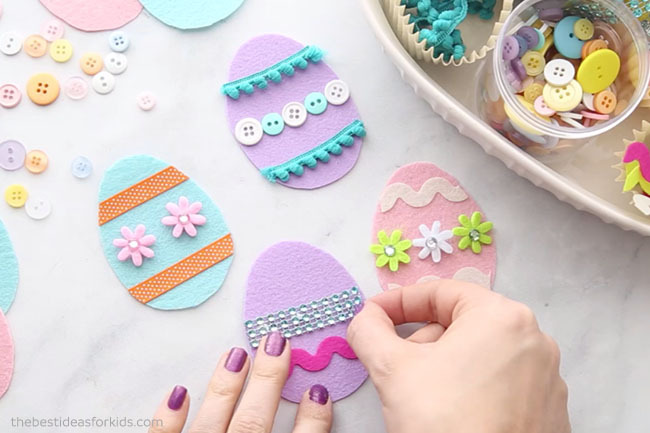 Once you’re done tracing, cut out the different Easter eggs. 2. Lay out your design first or just have fun gluing on different materials! 3. Trim any excess ribbon or felt embellishments if you need to. 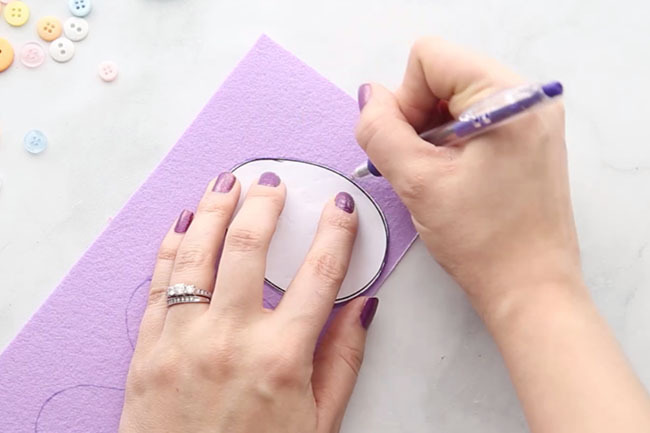 Sign up for our Newsletter and get this Easter Egg Template as a Thank You! 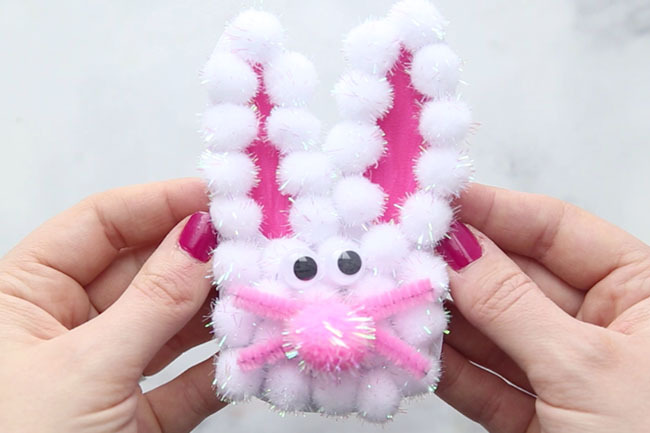 These exact Easter egg kits are at the dollar store. Yes we lucked out and found this kit at the dollar store but we added a few other things to it like the buttons and pom poms 🙂 but for those who can’t find the kit they can purchase all the supplies separately.